The Twelfth Doctor’s barnstorming speech about the horror of war in “The Zygon Inversion” is already being hailed as the breakout moment of Peter Capaldi’s tenure on Doctor Who. But like most things Doctor Who related, it’s just as delightful, if not moreso, when the Eighth Doctor himself gets to deliver it. 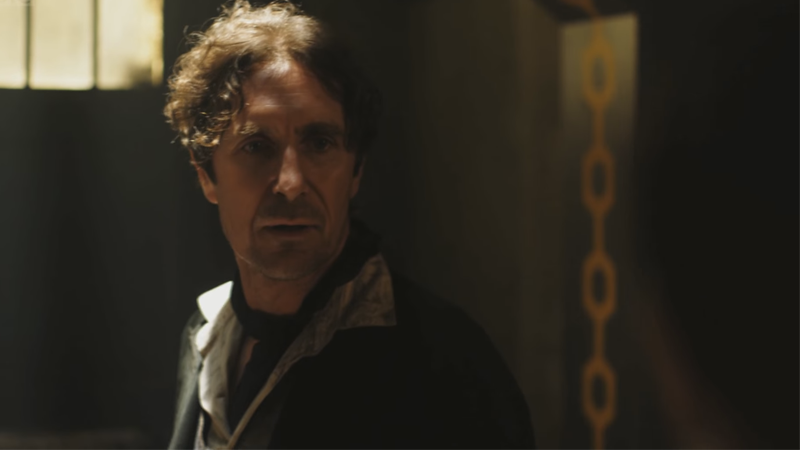 Paul McGann was a guest at Megacon in Orlando last month, and as Doctor Who fans are wont to do when it comes to Doctors past, during a Q&A session someone asked the actor he’d like to take a crack at Capaldi’s huge speech. And being the eminently wonderful Paul McGann, he offered a completely different take than Capaldi’s, but one that was still incredibly compelling. Wonderful stuff, regardless of who’s saying it. That said, can we just have more McGann on TV as The Doctor right now, pretty please? Stuff like this just almost feels like teasing.